Launched in January 2017 — weekly ½ hour podcasts on intuition with my colleague Astrologer Dawn. Dawn and I co-hosted the radio show EvolvingU on FM radio. We are delighted to pick up where we left off! 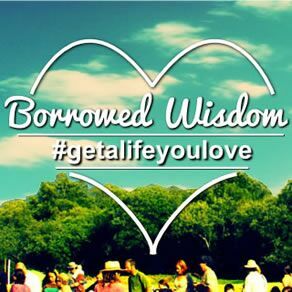 Combining our skills and experience as a Coach and a Counselor with our intuitive abilities and extensive metaphysical backgrounds, we connect others with their heart’s intuitive wisdom. Love Never Dies aired on February 22nd, 2015 on the Oprah Winfrey Network. Featured as a spiritual advisor on In Deep Shift with Jonas Elrod, Catherine Yunt meets with Amanda to reassure her that the contact Amanda is experiencing with Alex is real. Alex Teves, Amanda’s boyfriend tragically lost his life by heroically saving hers. Since his passing in the Aurora Colorado Theater shootings in 2012, Alex has appeared in Amanda’s dream addressing her questions and concerns. He makes contact with Amanda during her waking time as well, which Amanda refers to as her “Alex” miracles. Catherine assists Amanda in recognizing the benefits of continued connection and collaboration with the “other side”. 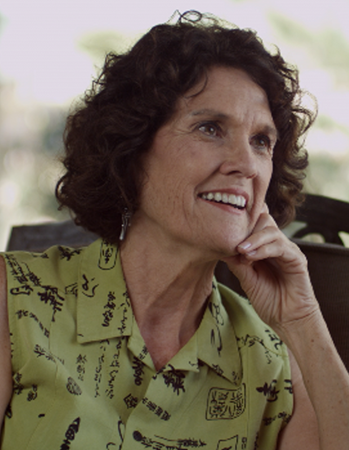 Catherine spent nine years participating in medium research at the University of Arizona in the Laboratory for Advances in Consciousness and Health. Catherine’s discovery of “the mechanism of action”, the scientific explanation for how this cosmic connection works is love. The bond created by loving relationships is eternal. Catherine’s most recent collaboration is with Jonas as a Co-Executive Producer of In Deep Shift. Combining her Masters of Counseling Degree with her intuitive gifts, Catherine assists Jonas and others on their transformational journeys. 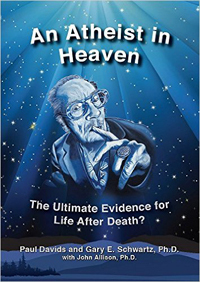 AN ATHEIST IN HEAVEN is about the extraordinary case of afterlife contact involving Forrest J Ackerman, a luminary of science-fiction, who was honored posthumously in November, 2016, by the City of Los Angeles dedicating "Forrest J Ackerman" Square for what would have been his 100th birthday. The apparent contacts from Forrest followed a grand tribute for him and continued for years for several people, mainly co-author Paul Davids who knew Forrest for many decades. The phenomena involved four categories of evidence that were researched by professors at three universities, including events involving scientifically-testable evidence, instrumental trans-communication, synchronicities and evidence from mediums. Catherine Yunt was a medium on this case, whose readings were filmed for the documentary that preceded publication of this book. Chapter 12 details her participation in the ongoing investigation of the inkblot mystery. The documentary The Life After Death Project premeired on SyFy as the Midnight Movie on May 15, 2013. As a featured medium, I share messages from Forrest J Ackerman, a founding father of Hollywood Science Fiction. Join us as we share Forry's story, exploring evidence for life after death communication. Combining my intuitive gifts with a Master of Counseling degree from Arizona State University, I express my divine purpose “as a catalyst for change.” I serve as a guide on the soul’s evolutionary journey assisting others in connecting with the wisdom of their heart. I seek to inspire, empower and enlighten clients by helping them identify their life purpose and expose the obstacles, fears and limiting beliefs that prevent them from living their highest potential. Beginning in 2001, my abilities as a psychic medium, precognitive dreamer, medical intuitive and energy healing practitioner have been tested at the University of Arizona. In his book, The Energy Healing Experiments, researcher Gary E. Schwartz, Ph.D, discusses the medical intuitive experiment and the energy healing practitioner studies. The energy healing research is featured in the documentary Something Unknown Is Doing We Don’t Know What. The Renee Scheltema film won the Jury Award at the 2009 Arizona International Film Festival. The Big Five Psychic Phenomena: Precognition, Telepathy, Remote Viewing, Psychokinesis and Spiritual Healing are investigated in the film. In an interview with Laura Powers I describe my role in Something Unknown and The Life After Death Project. I share my experiences as a medium, energy healer and astrologer. 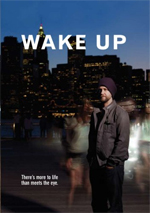 Listen to my interview with Jonas Elrod, Director of Wake Up, a documentary film that follows a fascinating story of an average guy who inexplicably developed the ability to access other dimensions. Jonas' film launched the new Oprah series on OWN called Super Soul Sunday on October 16th, 2011.